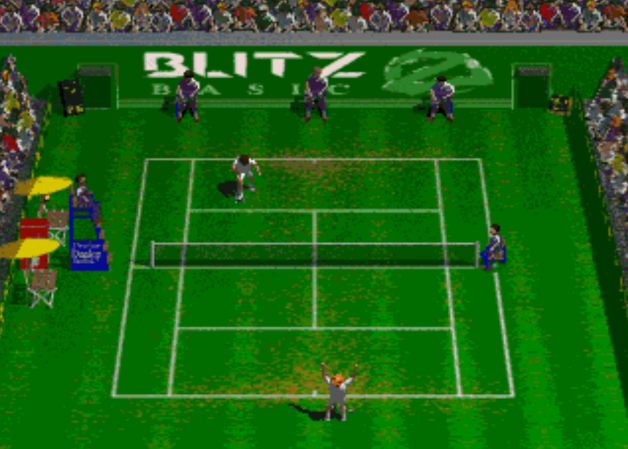 A bit of a late one this and one not to be missed, as after being informed by DamienD, we have learnt of an old Amiga game called ' Center Court 2 ' that was originally unreleased, is now available to the public. This Amiga game was actually authored by SecondService in the late 90's and had remained in an unfinished state on a harddrive that had become defective. Thanks to a member by the name of Python1 and eggman who then had the hard drive in their possession, the game was finally rescued from its corrupt state on the 9th of July. As from today you can play Center Court 2 as thanks to these fine people and anyone else in the community, you can play it on a real Amiga or on an Amiga CD32. For a far more detailed development discussion and updated download links, i'd highly recommend all Amiga gamers and anyone else who'd love to play this game, to visit the EAB forum.